" 奈鰄, 些鰄且南-他鰄 南南俄 冨鞋, 儡覇南俄 覇南俄和鰄-麈, 下鰄俄鰄-他鰄 些鰄些-儡鰄: 鼎南俄 墮叉鰄 鷄坐南俄 叉鰄也南俄-儡鰄 下袙儡鰄-麈 冨和南, 南南俄-他鰄 叉鰄也南俄-儡鰄 葩嘛鰄-麈 且南俄他南俄-他鰄 儡鵺嘛 黥他南俄-麈 袙馬南-儡鰄 些葩-儡鰄, 俄儡南-麈 下葩痛 嘛俄南 俄下南俄 榠南俄他-儡鰄 嘛俄南。 魁南俄 叉鰄也南俄-儡鰄 下餠齏南俄-麈 黥些南俄-他鰄 下餠-他鰄 馬南-他鰄, 叉鰄也南俄-儡鰄 葩嘛鰄-麈 鳴儡南俄-儡鰄 袙墮梨鰄 榠鰄冨韻-他鰄 些鰄嘛南俄-麈。 俄南-他鰄 些鰄且南-儡鰄 榠且梨鰄 餠墮南俄 馬姙-麈 且南俄他南俄-他鰄 馬鼾俄。 黔鞋 下南俄和南俄-他鰄 俄覇南俄-他鰄 俄和南俄-他鰄 "
Cook, Constance A. “The Ambiguity of Text, Birth, and Nature” Dao 12.2 (2013). Ni, Peimin. 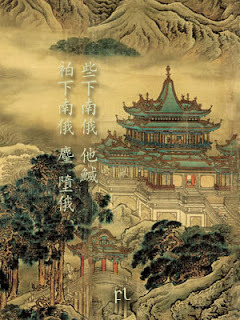 “The Changing Status of Chinese Philosophy” JCP 40.3-4 (2013). Nielsen, Bent. A Companion to Yi jing Numerology and Cosmology: Chinese Studies of Images and Numbers from Han (202 BCE-220 CE) to Song (960-1279 CE). London and New York: Routledge Curzon, 2003. Snow, Justine T. Evidence for the Indo-European Origin of Two Ancient Chinese Deities. SPP 118 (2002).